The very next day, I met some friends for a happy hour at the up and coming City Center off Memorial, and lo and behold there was an Anthropologie store right smack in the middle! Since I was early and had a little time to kill, I meandered through the place taking in all the unusual styles and accoutrements they are so well known for. 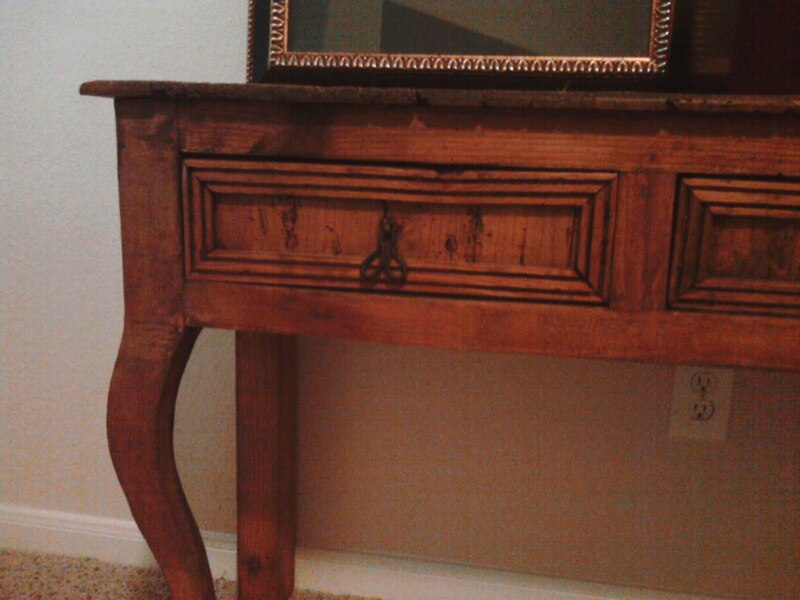 That rustic, numbered chest has my vote! Love it. I loved this Flea Market-style book, and might have to purchase soon. And of course I couldn't walk out empty-handed! I grabbed these two letters, O and V, for $3 apiece. I plan to find an L and E in a different design to spell out LOVE. It'll probably end up in a guest room later. Now I'm off to pick up our final piece of furniture from our recent buying spree. 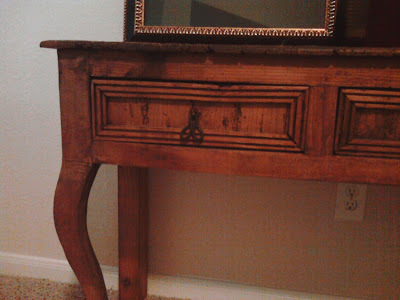 This little hallway table will look great in our new home, when we finally get one! That store looks inspiring! My favorite is the canvas draped awnings! I could so live with those!! Love the new blog looks....you are so creative! Those letters are cute! and nicely priced too! I loved the bed with the little canopy thing over it.